Not too long ago, a popular Sunday tradition was spending a good chunk of the day reading through the Sunday editions of the daily newspapers. Millions experienced the tactile delight of opening up a big Sunday paper, wondering what interesting stuff waited to be discovered. Even the advertising flyers were fun to page through, especially around holiday season. The hefty Sunday newspaper has been a journalistic tradition for well over a century. 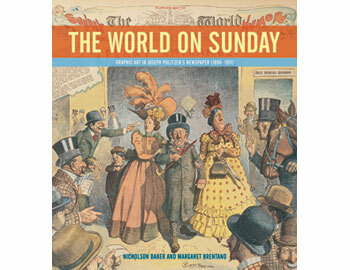 One of my favorite coffee table books is Nicholson Baker & Margaret Brentano, The World on Sunday: Graphic Art in Joseph Pulitzer’s Newspaper (1898-1911) (2005), which celebrates Sunday newspapers published during the turn of the last century. The World on Sunday and the tradition of Sunday newspaper reading represent an aspect of pre-digital culture that may be hard to understand for those weaned on an online world where wishes for news and commentary are instantly gratified. Fortunately, some of the major newspapers still land on doorsteps with a healthy thud on Sundays, containing some of their best in-depth reporting, feature articles, and opinion pieces. My Sunday newspaper habit goes back to growing up in Northwest Indiana, where local papers and the Chicago dailies were readily available. Among the Sunday editions that regularly got my attention were the Chicago Tribune, Chicago Sun-Times, Hammond Times, and Gary Post-Tribune. The Tribune excelled at covering my beloved Chicago sports teams, and the Post-Tribune did a very good job with local news. 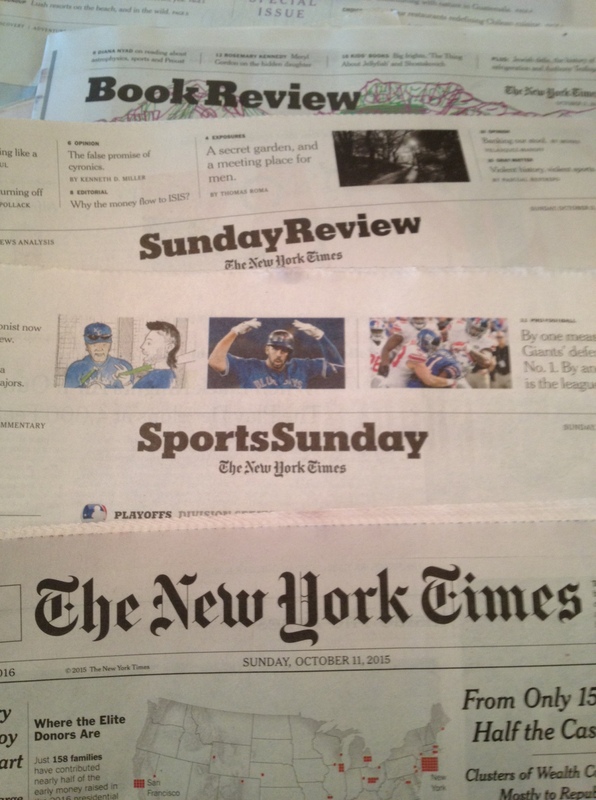 These papers deserve credit for turning me into a Sunday paper junkie. The Chicago influence was especially strong. The Windy City was a great, great newspaper town back in the day, fueled by the city’s colorful politicians, sports figures, and crime bosses. Beyond the headliners, however, the reporters and columnists who toiled for Chicago’s daily papers also had a knack for digging out the stories of everyday people. The human interest story had a regular place in the city’s newspapers. When I lived in New York City (1982-1994), the Sunday papers were a special treat. The Sunday New York Times was an especially heavy load, a multi-pound door stopper packed with goodies and advertising circulars. The early edition of the Sunday Times would come out on late Saturday evening (and still does), and many a weekend night out included picking up a copy on the way home. My personal favorite, however, was New York Newsday, the now gone NYC edition of the venerable Long Island daily. New York Newsday wasn’t as worldly as the Times, but it spoke more closely to the city’s middle class and did a superb job of covering local politics and sports. Its thick Sunday edition was chock full of extended features and commentaries. To this day, New York Newsday remains my favorite-ever newspaper. My Sunday paper of choice remains the New York Times. The Times has not abandoned the idea that the Sunday edition of a newspaper should be something special. I especially look forward to its Week in Review and Book Review sections. The major daily here is the Boston Globe, and I have an online subscription. I have an on again, off again relationship with the Globe, and for now we are on digital terms only. In fact, despite a surfeit of subscriptions to printed periodicals, I increasingly get much of my news and commentary online. And to be honest, I wouldn’t trade the remarkable world of information and news available online for the days of waiting for the paper to be delivered. I, too, have been spoiled by point and click access to news coverage from around the nation and the world. However, at a time when we can use more civilized, enjoyable, and affordable rituals in our lives, reading the Sunday newspaper remains a pretty good choice. This is a revised version of a piece I wrote for another blog three years ago.